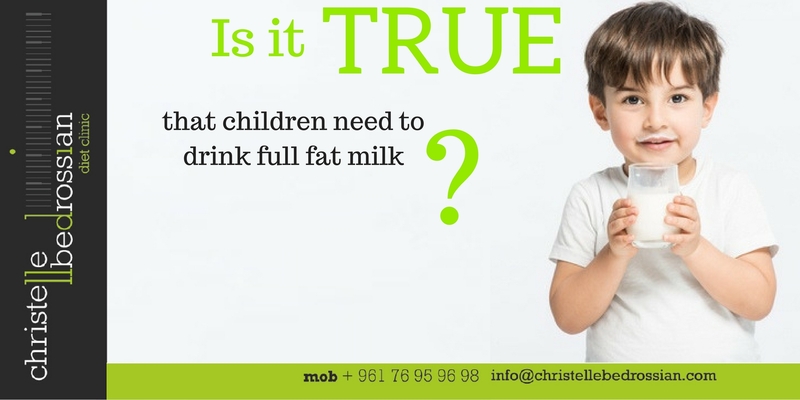 Is it true that children need to drink full fat milk? Reduced fat milks should be encouraged for children over the age of 2 years. They contain the same nutrients as whole milk but are lower in saturated fats. (Next Entry) Is it true that carb, protein & fat have the same calories?